Quality construction services in St Albans, Milton Keynes, Harpenden, Leighton Buzzard, Beaconsfield, Chalfont St Giles, Gerrards Cross and Bedford. Get a quote today! However you want to extend your home, we will work with you from start to finish to ensure that you have the perfect extension for your home and your needs. We offer a quality garden development service which includes driveways, landscaping and stonework. We have professionals on hand who will listen to your ideas and create a design that achieves your goals. Looking to build your dream home from scratch? From start to finish, we carry out the full process for you, to achieve the ultimate prestige property you’ve always wished for, but couldn’t find on the market. We use the latest technology including ground source heat pumps to help construct our new builds. Many construction companies aren’t completely open about how they operate. 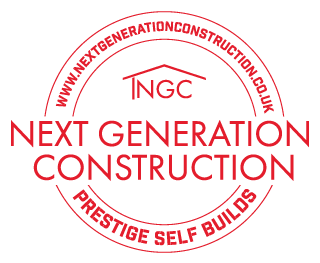 See how Next Generation Construction work, with our complete building process. We cover all the bases, from initial discussion and design, through foundations & building, to building regulations and your final move! However you want to extend your home, we will work with you from start to finish to ensure that you have the perfect extension for your home. Our work is of an incredibly high standard and will be kept to time and budget, so your extension will be a stress-free, simple experience with as little disruption as possible. Our stunning property renovations are considerate and reliable, working with the original features of the building to ensure that it is sympathetically renovated while still meeting modern standards. Our renovations are of the highest quality and are based on your desires for your home. Whatever the pitch of your roof, we can create a usable living space that will maximise this overlooked area of your home. Our loft conversions will make the most of the qualities inherent in your current loft and we will work with you to design an area that meets your needs and desires. We offer a quality garden development service which includes driveways, landscaping and stonework. Our professionals will listen to your ideas and create a design that achieves your goals. With minimum disruption, they will create a stunning outside space that you will be able to enjoy for many years to come. Our landscaping services will transform your outside areas, giving you a beautiful space to entertain and relax all year round. No matter the size of your garden, we can provide professional fencing, decking and turfing services to update your garden. Get in touch for more information on our stunning landscaping work. We design and build exceptional patios that are created based on your vision of a dream patio. Whether you want to use it as a dining area, a seating area or a space to entertain, our patios will meet your needs. They are constructed from the highest quality materials and will give you years of pleasure and performance. As a trusted company in Milton Keynes, we ensure all building works are carried out to the highest of standards, giving you peace of mind. We pride ourselves on our integrity, so our quotations detail every aspect of your build costs in a clear and simple way, so you can make an informed decision. We pride ourselves on our clear and regular communication. From day one, we will be open and honest, so that you know exactly what is going on with your build at all times. We will treat you and your home with the utmost respect. We will keep your home clean and tidy and will ensure that disruption to your lifestyle is minimised. Next Generation Construction are proud to be award winners at the Bali National Landscape Awards, in association with Horticulture Week. Read some reviews from our happy customers on our Checkatrade page, and see for yourself why we’re so highly rated. Thanks Kyle & Team! Brilliant job, really pleased with the porch! An excellent job on taking down the internal wall too. Kyle kept in touch and visited the site regularly. Team were always happy and hard working and worked weekends too. Price was keen and there were no hidden extras. We would recommend Kyle and the team without hesitation and would happily show anyone their quality of work. Kyle and the team did an excellent job on our driveway. Kyle was meticulous in planning the installation and giving us options as to what we wanted, he took the time to understand what we were looking for over a number visits and was always available on the phone. The team was always on time, worked hard from start to finish including weekends and delivered on time and within budget. Would recommend Kyle to anyone looking for a reliable local tradesman who delivers a top quality finish. Kyle and his lads did a fantastic job on our extension. It was a pleasure to have them here. The brickwork is immaculate and done to a very high standard. We found Kyle and all the lads very polite and helpful. They left the site clean and tidy after every visit. We will definitely have them back again for our garden maintenance. We will recommend them to anyone who is considering home improvements. We had Kyle and his team do a total makeover of our garden. All I can say is that we could not have been happier with the job that Kyle and his team did for us. The garden finished up looking even better than we had hoped for. Kyle not only does everything he can to do the best possible job but also gives really good advice along the way. We would not hesitate to get Kyle in again for any kind of garden or construction work. As always when it comes to picking tradesmen you always wonder if you're going to get ripped off. Rest assured this team are reliable, trustworthy and will get the job done when they say they will. Always at the end of a phone and always offer sound advice. I have an extension plan and will definitely be using these guys. Our construction prices are incredibly competitive, and we’ll listen to your requirements to create a bespoke quotation for you. To find out more about our outstanding construction services in Milton Keynes, St Albans, Harpenden, Leighton Buzzard, Beaconsfield, Chalfont St Giles, Gerrards Cross and Bedford, contact our friendly team. They are waiting to discuss your needs with you and to guide you in making an informed decision when it comes to your home improvements. They can give you a tailored quote based on your ideas, and give you an estimate of the time frame, perfect for planning ahead.